Rest in peace, Charles Townes. He passed away on January 27th. The 99-year old scientist co-invented the laser with Gordon Gould and Arthur Schawlow. Allow me to repeat that. He co-invented the laser. I remember the first one I owned. It was an Edmund Scientific helium-neon job in a cool, aluminum case. It cost me plenty almost 40 years ago. I had no practical use for it, but I never regretted the purchase. Now you can buy one for $5 at 7-Eleven, and they have become indispensable to civilization. You are reading this because it reached you via femtosecond bursts of laser light racing through glass fiber. Cool, indeed, but what does this have to do with space exploration? Bear with me. 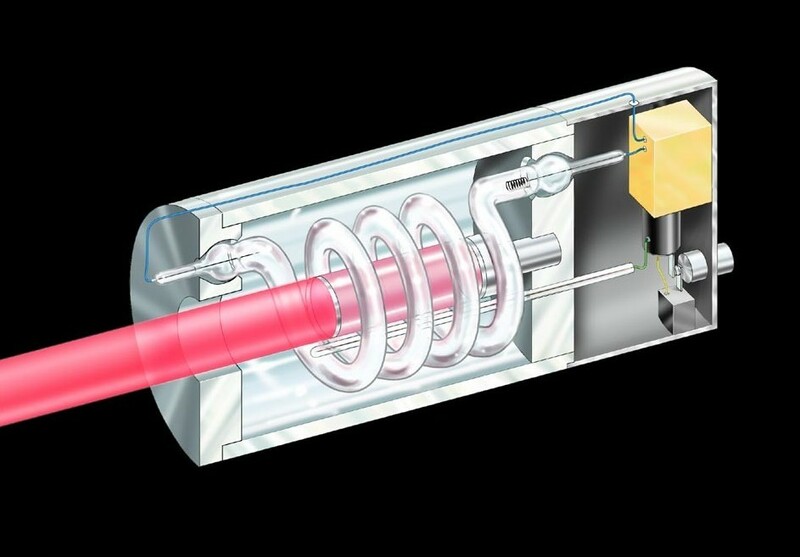 The first working laser had a ruby at its heart. Seriously, a ruby. Gas lasers came soon after. Put the right gases in a tube with mirrored, perfectly parallel endcaps. Pump in energy, and out of the slightly less silvered end come blindingly pure photons that make the dancers in a Busby Berkeley movie look sloppy. It may be the most elegant proof of quantum theory. From LLNL document "Laser Programs: The First 25 Years"
Other varieties arrived. Liquid dye lasers. Chemical lasers that can knock out an incoming missile. And the semiconductor lasers that read the microscopic pits on a DVD, scan your groceries, and draw attention to that critical bullet in your PowerPoint presentation. They also enabled the Internet to bring you the “House of Cards” episode you watched last night. Paul Simon believed there were lasers in the jungle. How about on Mars? 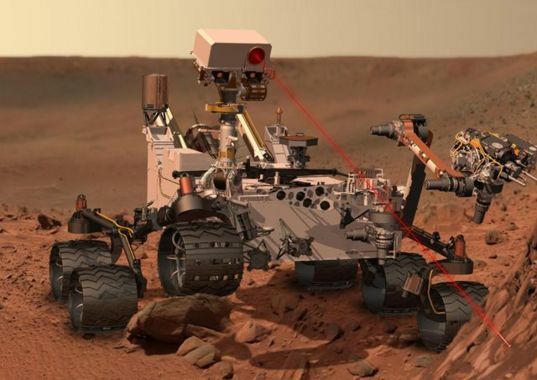 Curiosity, the Mars Science Laboratory rover, has several. ChemCam is the ray gun that vaporizes (plasmaizes?) targets so that they can be analyzed from a distance. Deep inside Curiosity is the Tunable Laser Spectrometer that measures the presence of various atmospheric isotopes with wonderful accuracy. Adaptive optics has revolutionized visible light astronomy conducted from the Earth’s surface. The most advanced installations use a powerful laser to make a glowing spot in the upper reaches of our planet’s atmosphere. The AO system uses that artificial star to instantly compensate for the ever-shifting air, giving the telescope almost Hubble-sharp images. 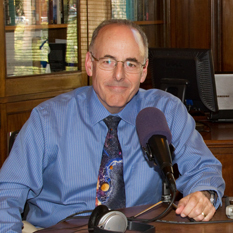 The Planetary Society supports Debra Fischer’s Exoplanets Laser project at Yale University. The exquisitely precise lasers it utilizes will help us find the Earth-like, habitable planets that surely pepper the galaxy. 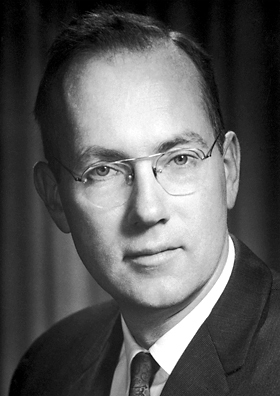 Charles Townes invented the maser before he got around to the laser. Examine a radio telescope receiver and you’ll find a maser. If ET phones us, we’ll hear the call because of Townes. It’s the maser that got him his Nobel Prize. Townes eventually tired of researching lasers. He figured there were plenty of other good people working on them—so, he helped figure out how the signals from many telescopes could be combined to act as if they were one humongous instrument. He measured the mass of the black hole at the center of the Milky Way. He helped start the field of astrobiology as one of the discoverers of organic molecules in space. Oh, and he was NASA’s chief science advisor as we landed humans on the moon. LASER = Light Amplification by Stimulated Emission of Radiation. It’s difficult to imagine anyone who stimulated more advances than Townes. Thank you, Charles. Your light will shine forever. It's sad that you usually learn about wonderful people as they pass. Thanks a million Charles. Not to take anything away form Charles Townes, a great man, truly. However, he should be remembered as the co-inventor of the maser. The patent for the first laser (using doped ruby crystal) was granted to Theodore Maiman.